The overall number of hospital beds and medical equipment in South Korea exceeded other major economies, while the number of doctors was lowest, data has showed. South Korea had an average of 12 beds per every 1,000 people in 2016, compared with the Organization for Economic Cooperation and Development average of 4.7, according to data provided by the Ministry of Health and Welfare and the National Health Insurance Service. 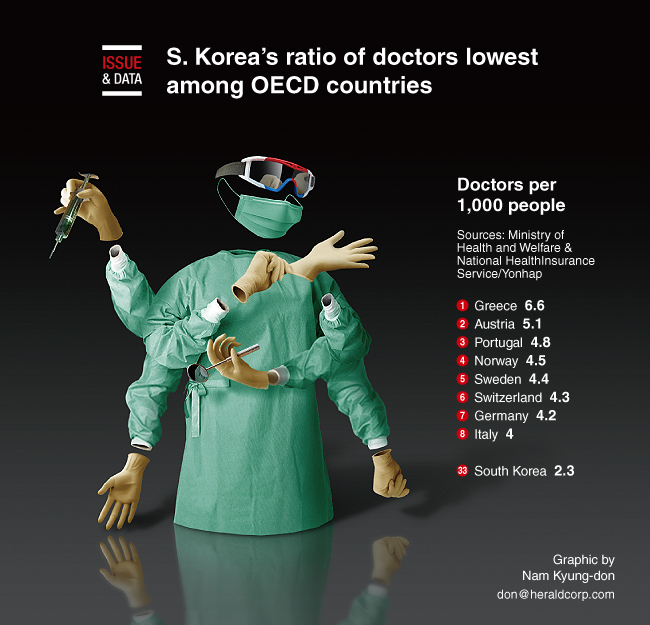 On the other hand, Korea had just 2.3 doctors per every 1,000 people in 2016, far below the OECD average of 3.4.